Dramatic actor Laurence Fishburne gained widespread acclaim and an Oscar nomination for his gripping performance as the Svengali-like Ike Turner in the Tina Turner biopic What's Love Got to Do With It (1993) and went on to rack up an impressive string of credits playing leads and supporting roles on stage, screen, and television. Born in Augusta, GA, the sole child of a corrections officer and an educator, Fishburne was raised in Brooklyn following his parents' divorce. An unusually sensitive child with a natural gift for acting, he was taken to various New York stage auditions before landing his first professional role at the age of ten. Two years later, he made his feature film debut with a major role in Cornbread, Earl and Me (1975). 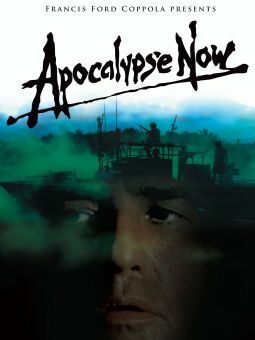 A turning point in the young actor's career came when he lied about his age and won the role of a young Navy gunner in Francis Ford Coppola's Apocalypse Now. On location in the Philippines, the teenage actor effectively bade farewell to childhood as he endured the many legendary problems that befell Coppola's production over the next two years. In between shooting days, Fishburne hung out with the adult actors, often exposing himself to their offscreen drinking and drugging antics. Back in Hollywood by the late '70s, he continued playing small supporting roles in features and on television. Like many black actors, he was frequently relegated to playing thugs and young hoodlums. He would continue to appear in Coppola productions like Rumble Fish (1983) and The Cotton Club (1984) throughout the 1980s. Wanting a change from playing heavies, he accepted a recurring role as friendly Cowboy Curtis opposite Paul Reubens on the loopy CBS children's series Pee-Wee's Playhouse. By the early '90s, Fishburne had begun to escape the stereotypical roles of his early career. In 1990, he played a psychotic hit man opposite Christopher Walken in Abel Ferrara's King of New York and a chess-playing hustler in Searching for Bobby Fischer (1993). Following his great success in the Tina Turner biopic, he became one of Hollywood's most prolific actors, appearing in films such as John Singleton's Higher Learning (1995). 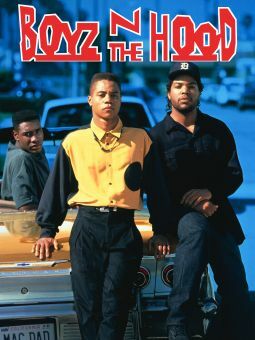 Fishburne, who had known Singleton when the latter was a security guard on the Pee-Wee's Playhouse set, had previously appeared in the director's debut film Boyz 'N the Hood (1991). After Higher Learning came Othello (1995) and Always Outnumbered, which he also produced. Fishburne had previously produced Hoodlum (1997), in which he also starred. 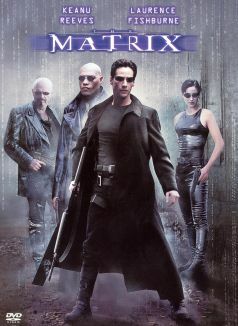 In 1999, he stepped into blockbuster territory with his starring role in the stylish sci-fi action film The Matrix. Increasingly geared towards action films, Fishburne could be seen in the fast and furious motorcycle flick Biker Boyz as fans prepared for the release of the upcoming Matrix sequels. Indeed, The Matrix Reloaded and The Matrix Revolutions (2003) earned Fishburne further praise from both fans and critics. The same year, Fishburne co-starred with Tim Robbins and Sean Penn in the role of a homicide detective for the Academy Award-winning thriller Mystic River. The actor went on to star as a cop-killing mobster for the crime drama Assault on Precinct 13 (2005), and as a somber professor of English in the critically acclaimed urban drama Akeelah and the Bee (2006). He would co-star in the ensemble political docudrama chronicling the life and death of Robert F. Kennedy (also in 2006), and join the cast of Fantastic Four: Rise of the Silver Surfer in 2007. Fishburne found success again in director Steven Soderbergh's Contagion (2011), and co-stars in the Superman reboot Man of Steel (2013) as the editor-and-chief of "The Daily Planet". 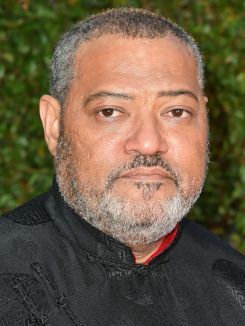 In addition to his work in cinema, Fishburne has established a distinguished stage career, winning a Tony Award in 1992, for his role in August Wilson's Two Trains Running. Was cast in Apocalypse Now when he was 14 by telling director Francis Ford Coppola he was 18. Turned down the role of Ike Turner in What's Love Got to Do with It five times. When he heard Angela Bassett would be playing Tina, he reconsidered. First African-American to play Shakespeare's Othello on film, in the 1995 movie. Wrote his 2000 directorial debut film Once in the Life, which he based on his play, Riff Raff. In 2008, began a two-and-a-half season stint as criminal pathologist Dr. Raymond Langston on the CBS crime drama CSI: Crime Scene Investigation. Portrayed Thurgood Marshall on Broadway in 2008’s one-man play Thurgood; later reprised his role for a 2010 Kennedy Center production that HBO filmed and then debuted in 2011.